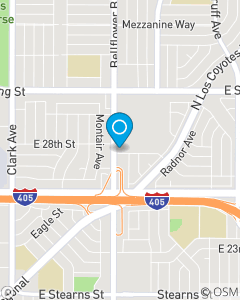 Bellflower Blvd between the 405 fwy and Spring St.
Cheryl Estep State Farm Insurance office in Long Beach, CA provides our customers with great value on auto insurance, home insurance, life insurance and more. Prepare for the future with life insurance and financial services. We make car insurance in Long Beach easy. Stop in our office to meet my team and get a free quote!